In a manufacturing environment, it is crucial to understand the full impact of proposed changes to the facility prior to implementation. 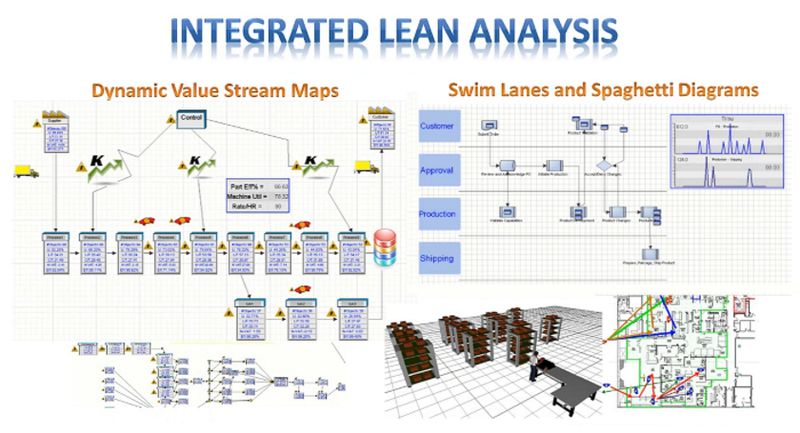 Dynamic Simulation provides a risk-free environment in which the user can visualize and analyze the impact of improvement ideas and develop a step-by-step path to an optimal future state. 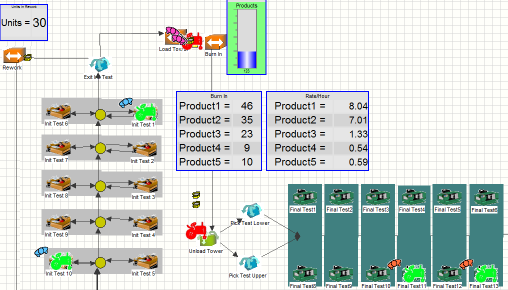 Predict how operations will be affected by: changes in demand, disruptions in supply, changes in the product mix, etc. Automatic Bottleneck identification - including detailed reporting on constraints and contributing factors. Analyze the effect of changing equipment and new technologies including automation. 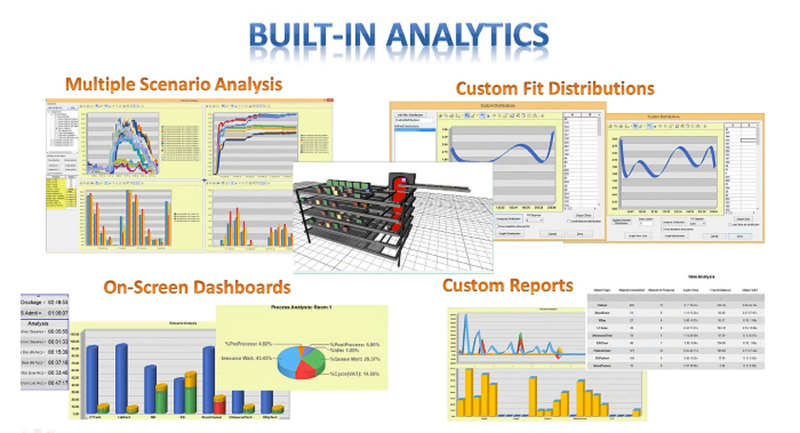 Analytics Tools - Integrated costing analysis, scenario analysis, and dynamic KPI/Metric reporting tools. 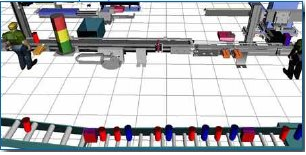 Point and click interfaces make Simcad Pro Manufacturing the most powerful "all-in-one" package to design, optimize, visualize, and analyze without coding. SimTrack® is a dynamic 3D visibility and analysis tool that utilizes Simcad Pro's patented technology to provide real-time operational visibility, dynamic replay, proactive forecasting, and customization reports. The user-defined proactive analysis environment allows for identifying problems before they occur and alerting appropriate personnel to take corrective action before they impact the throughput of the operation. SimTrack enables multiple remote views of the operation. In addition, a web based interface is provided for data monitoring and reporting. Replay the tracked data just like a DVR. Rewind the clock and view the activities as they occurred. Switch SimTrack to simulation mode and use the replay feature to optimize and improve the flow using the integrated Simcad Process Simulator. View tracked items in real-time in 2D or 3D. Hover over an item to display a quick summary, or click the item to display detailed tracking information and properties. Accurately predict the future of the operation using live data feeds, Dynamic Simulation, and historical trends. Display the forecasted state on web enabled dashboards for increased visibility. Dynamically forecast completion time per order, part, and sub-assembly. Based on current constraints and downtime, SimTrack automatically reschedules the flow to minimize lead time, improve on-time delivery, and optimize efficiency.